Patricia Vázquez Iruretagoyena was trained as a dancer in Spain and worked professionally for 16 years. 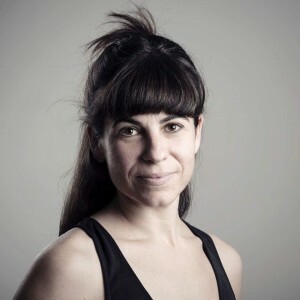 She has an MFA specialised in Choreography from the University of Dance and Circus, Stockholm, and is studying to become Somatic Movement Educator at the Body-Mind Centering School. In 2010, she began to re-stage choreographies by Johan Inger for diverse European professional companies. During 2018-2019 she will re-stage Carmen for Basel Ballet and Sächsische Staatsoper Dresden and Out of breath at Stuttgart Ballet. Since 2015, Patricia works as a freelance producer in Stockholm. She has collaborated with Björn Säfsten as production assistant and with Mirko Guido as producer and artistic collaborator for his latest works, Entities (2016) and This is fiction//You are fiction too (2018). After her internship at Dansens Hus Stockholm during spring 2018, she began collaborating with Philip Berlin on the production of his upcoming choreographic work Rough Potentials. The piece will premiere at Dansens Hus in September. She is also coordinating the project Fiskedansen & andra komiska bekännelser, by Sindri Runudde, premiering at Inkonst in December 2018.